Bring your brand to more places. DesignLine custom modular displays are scalable to fit multiple environments. 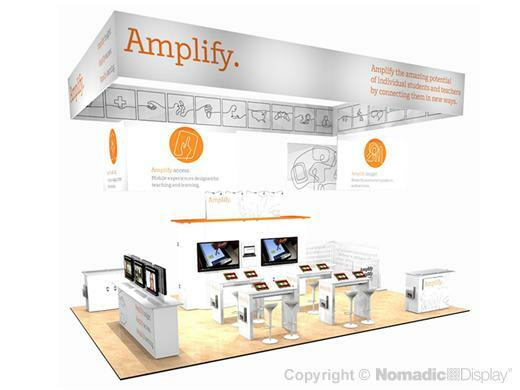 So you benefit from the ability to enhance, expand and repurpose your trade show display design to meet your unique business needs. Our DesignLine displays are backed by an industry's best Lifetime Warranty and feature some of the most popular accessories such as: tension fabric structures for bold overhead messaging, plenty of brochure holders for dispensing sales literature, a reception counter for greeting visitors, a semi-private meeting area for engaging with clients, dynamic widescreen monitors for branded presentations and locking storage. 7 - RollMax Case - 60.50" x 34" x 56"
1 - 29" Wood Crate - 29" x 100" x 49"